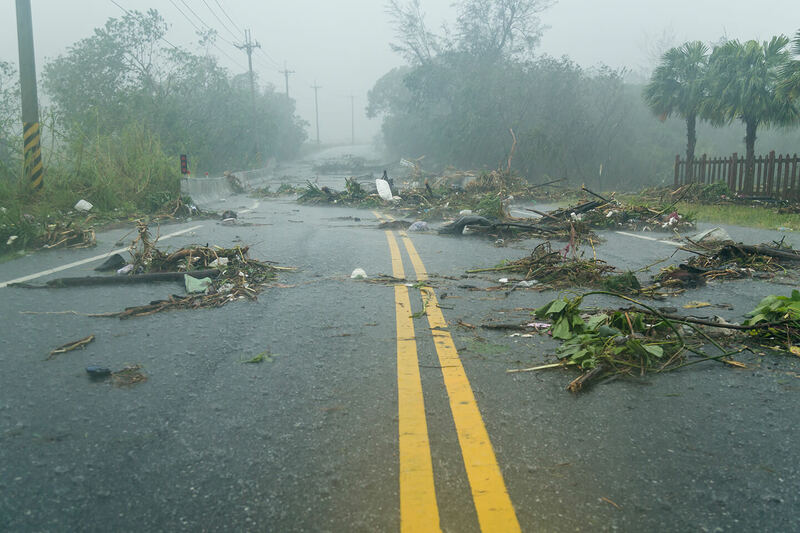 When an emergency event has the potential to impact your community, the most important aspects of your communication strategy are speed and maximum citizen reach. Integrated Public Alert and Warning System (IPAWS) was created by the Federal Emergency Management Agency (FEMA) in 2006 to provide both. IPAWS is a notification tool that allows authorized users to connect to the IPAWS platform to send alerts to cell phones, local TV and radio broadcasts, and can even post notifications to digital road signs and various other locations instantaneously. IPAWS enables you to reach as many people as possible, including citizens and visitors who have not opted-in to text, phone, or email communications. Federal, state and local alerting authorities can use IPAWS and integrate local systems that use Common Alerting Protocol (CAP) standards with the IPAWS infrastructure. Emergency messages must be sent via an IPAWS compliant CAP Alert Origination software like CivicReady, the mass notification solution for local governments. 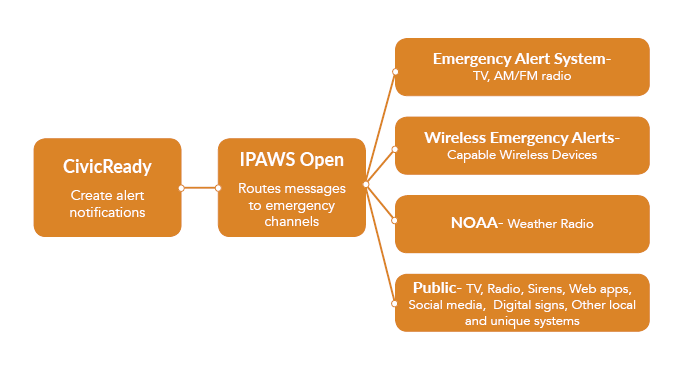 CivicReady’s IPAWS integration provides an effective way to alert the public not only through the wireless networks, but also through landlines, cable and satellite TV, AM/FM radio, digital signage, PA systems, websites, social media and, if power goes out, NOAA weather radio. Can be delivered to all members of your community without needing to have their contact information in your database. Simultaneously send Wireless Emergency Alerts (WEA), Emergency Alert System (EAS) and Non-Weather Emergency Messages (NWEM) to reach members of your community via cell phone, television and radio. WEA messages are sent as radio broadcasts through cell phone towers and all citizens near a tower will receive the alert. Deliver targeted IPAWS alerts to citizens located within a specific geographic area by outlining the region on a map. IPAWS can be used to communicate any kind of threat to the public, including hazardous chemicals spills, severe weather alerts, missing children, or even terrorists’ threats. Recently WEA cellphone alerts have been used successfully during the Boston Bombings and active shooter scares. The more state and local authorities adopt IPAWS, the more communities will be safe and strengthened by good communication during an emergency. CivicReady is proud to be on the IPAWS Open Developers list and short list of IPAWS vendors. The companies on the list have been given the highest ratings for aspects such as most user friendly interface and then proven successful upon repeated testing across all dissemination avenues. As a client of CivicReady, CivicPlus support will help you facilitate the process with FEMA to become an IPAWS message alerting authority. Issue critical alerts via a simple, straight-forward messaging page. Pop-up guide assists public safety officials when posting critical alerts and information icons next to text boxes remind users of required information. Geo-targeting empowers users to easily deliver targeted IPAWS alerts to specific areas and send messages to other emergency management authorities by drawing a multi-point polygon shape on a map. Ability to preview and edit an alert prior to sending to IPAWS. Housed templates, including pre-defined dissemination channels. Switch between demo or a production environment to test the system prior to an actual emergency. Ability to simultaneously message groups stored within the CivicReady system. CivicReady is on the FEMA short list of Alert Originators who have successfully demonstrated their IPAWS capabilities to FEMA. 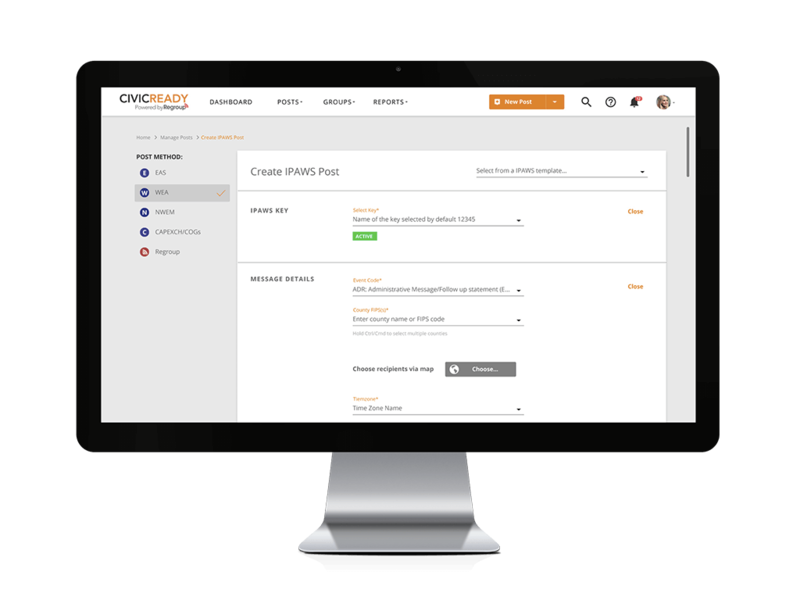 Schedule a demo to see if CivicReady is right for your organization. Fill out your info, and we'll contact you within one business day to discuss your goals.